In 1994-98 he served as Chair of UC Berkeley’s Center for Western European Studies. Between 1967 and 1979 he taught sociology at the University of Paris, first at the Nanterre Campus, then, since 1970, at the Ecole des Hautes Etudes en Sciences Sociales. He has also been professor and director of the Institute for Sociology of New Technologies, Universidad Autonoma de Madrid, Research Profesor at the Consejo Superior de Investigaciones Cientificas in Barcelona, and a visiting professor at 15 universities in Europe, the United States, Canada, Asia, and Latin America. He has lectured at about 300 academic and professional institutions in 40 countries. He was born in Spain in 1942. As a child he lived in Hellin, Albacete, Madrid, Cartagena, Valencia and Barcelona, where he completed his secondary education. He studied law and economics at the University of Barcelona in 1958-62. As a student activist against Franco’s dictatorship he had to escape to Paris, where he benefitted from a political refugee fellowship, and graduated from the Sorbonne’s Faculty of Law and Economics in 1964. He went on to obtain his PhD in Sociology from the University of Paris in 1967. He also holds a Doctorat d’Etat in Human Sciences from the Sorbonne, and a doctorate in sociology from the University of Madrid. His University of Paris PhD dissertation was based on a statistical analysis of location strategies of industrial firms in the Paris region. 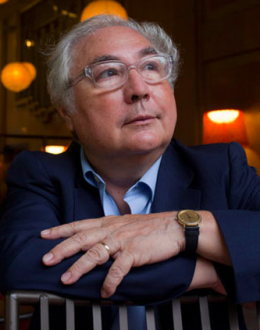 Manuel Castells started his academic career in 1967 at the University of Paris, teaching methodology of social research, and researching on urban sociology. In 1972 he published his first book, La Question Urbaine, which was translated in 10 languages and became a classic around the world. He was one of the intellectual founders of what came to be known as the New Urban Sociology. His main publications in this field are The City and the Grassroots (University of California Press), a comparative study of urban social movements and community organizations based on his field work in France, Spain, Latin America, and California, that received the C.Wright Mills Award in 1983; and The Informational City (Blackwell, 1989) an analysis of the urban and regional changes brought about by information technology and economic restructuring in the United States. In 1998, Manuel Castells received the Robert and Helen Lynd Award from the American Sociological Association for his lifelong contribution in the field of community and urban sociology. In 1983 Castells undertook the study of economic and social transformations associated with the information technology revolution. His privileged point of observation in the San Francisco Bay Area helped his research on this topic. But he deliberately engaged in a cross-cultural approach to the subject by researching as well in Europe, Latin America and Asia for the next 15 years. The results of this work were published in his trilogy The Information Age: Economy, Society,and Culture (Blackwell): 1st volume, The Rise of the Network Society (1996, revised edition 2000); 2nd volume, The Power of Identity (1997); 3rd volume, End of Millennium (1998, revised edition 2000). The trilogy is translated into Spanish, French, Swedish, Chinese, Portuguese, Russian, Korean, Japanese, Croatian, Bulgarian, Turkish, and German. This book has been presented and debated by Castells in numerous academic institutions around the world, including UC Berkeley, UCLA, UC San Diego, UC Davis, City University of New York, Stanford, Harvard, Oxford, Cambridge, London, Barcelona, Sevilla, Amsterdam, Paris, Moscow, Novosibirsk, Buenos Aires, La Paz, Sao Paulo, and Hitotsubashi – Tokyo. Professor Castells has published 20 books, and over 100 articles in academic journals,as well as co-authored or edited 15 additional books. Among his various distinctions and awards, he was appointed to the European Academy in 1994; and was a member of the European Commission’s High Level Expert Group on the Information Society in 1995-97.In 1999-2000 he received the May 1st Award for Social Thought from the Catalan Workers General Union’s Foundation, and the Cambrescat Award for Internet Studies from the Catalan Association of Chambers of Commerce. He has been an adviser to Unesco, International Labour Office, United Nations Development Program, US Agency for International Development, European Commission, Government of Chile (Allende administration), Government of Mexico, Government of France, Government of Ecuador, State Council of the People’s Republic of China, Government of the Russian Federation, Government of Brazil, Government of Portugal, and Government of Spain. Castells teaches full time in Berkeley, sharing his time between City and Regional Planning and Sociology. His regular teaching offerings are: sociology of the information society (graduate seminar); information technology and society (undergraduate course); comparative analysis of urban and regional policies (graduate course); research seminar on regional development; doctoral seminar for City and Regional planning students. Over his university career he has been main adviser to 12 doctoral dissertations at the University of Paris, and 30 doctoral dissertations at the University of California, Berkeley. His 2001 research focused on the social and economic implications of Internet. His new book The Internet Galaxy. Reflections on Internet, Business, and Society will be published by Oxford University Press in 2001. He continues to work on urban issues as well. A Castells Reader on Cities and Social Theory edited by Ida Susser will be published by Blackwell in 2001. He is also currently interested in the debate on new development strategies appropriate for the Information Age. In 2000, he addressed the United Nations’ Economic and Social Council on information technology and global development. He also toured South Africa, invited by the Center for Higher Education Transformation, engaging in debates and conversations on development policies with academics, high ranking government officials, labor, and business leaders. The 2000–09 research survey of the Social Sciences Citation Index ranks him as the world’s fifth most-cited social science scholar, and the foremost-cited communication scholar. He was awarded the 2012 Holberg Prize, for having „shaped our understanding of the political dynamics of urban and global economies in the network society.” In 2013 he was awarded the Balzan Prize for Sociology.